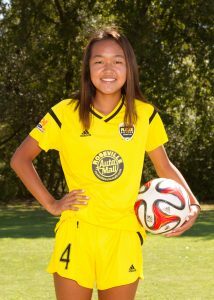 Congratulations to Placer United U.S. Soccer Girls Development Academy player, Kellie Pagador. She hits the road again, this time with the U.S. Under-15 Girls’ National Team headed to the Netherlands for a training camp running from June 3-13 that will conclude with two matches against the hosts. Great job Kellie! Go Placer!